February 2, 2015, would have been Rafferty’s first birthday. A happy little boy, perhaps with curls in his hair like mine, taking his first steps around the living room, my arms outstretched, waiting to catch him. Just a playful image to hold in my mind: our beautiful little boy was stillborn at 38 weeks exactly a year ago. His passing came without warning. A few days before he died, he was an active little baby, his arms and feet pushing against Larna’s belly. Little shapes bopping out playfully from her round tummy. The shock of his passing was immense. It was impossible to comprehend when it happened. I remember the phone ringing, and a lady at the hospital telling me I had to come in right away. Larna was too upset to speak. I asked the woman on the phone: “Is everything OK?” She would not say, but I knew the answer. A man usually of few emotions, I wept against the side of the bed as I held Larna’s hand in a darkened hospital ward half an hour later. We returned in the morning. Larna was inconsolable in the car as we approached the hospitable: “Raffie, why did you leave us?” she repeated over and over. There were no answers. As a mother, Larna had lovingly carried Raffie for 38 tiring weeks, battled through severe morning sickness and an earlier miscarriage scare. More than anyone in the world, she deserved a healthy baby. If there was a God, I thought, he was cruel and vindictive. 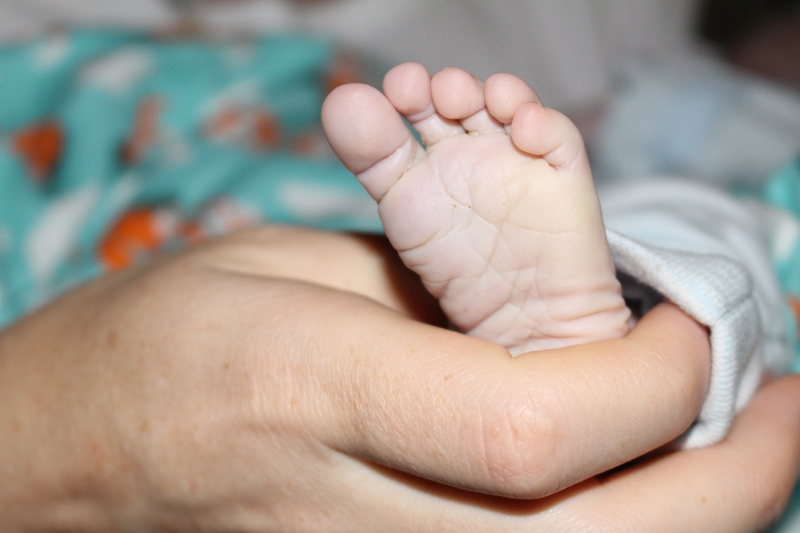 Through a vail of tears, Raffie was born in the early hours of Sunday morning at the Royal Women’s Hospital. Even though I knew there was no hope, I had, up until his birth, prayed for a miracle. That some how the doctors had been wrong, that he would still be alive. The moment he was born will stay with me for ever: a little boy who did not utter a sound. 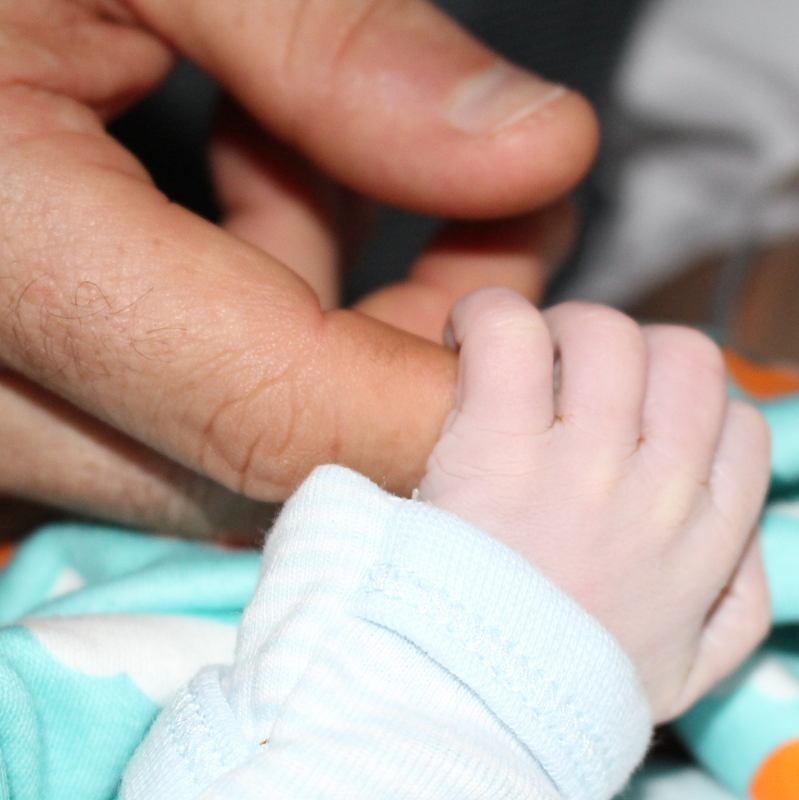 We held Raffie’s little body, stroked his soft skin, held his fingers and toes and took photographs. In one of those photos, I can see the sadness etched on my face, it is the saddest I have ever been. We would have given anything for just a few moments of him warm and breathing against our skin. Later that day I drove home to shower and get some rest before returning to the hospital in the evening. It was one of those scorching February days. I felt the heat as a crushing, suffocating sadness. I felt empty and deeply depressed. The world seemed completely changed, drained of colour for ever. At home, I lay down on our bed while the fan whirred, next to an empty crib that should have been Raffie’s: it was the loneliest, saddest empty space in the world. Two days later, on a Tuesday, we said goodbye to Raffie. His little white coffin engraved with Rafferty” and my surname ‘Schlesinger” stood at the end of a small chapel hall attached to the funeral parlour. We sat together and said our goodbyes. Behind us, my daughter Edie, nearly two then, provided some ill-timed, but much-needed comedic relief, ransacking purses and bags and running around with the bunches of colourful balloons that decorated the hall. I never thought hello and goodbye would come so quickly. You were a beautiful boy with your mom’s long hands and your dad’s frown. Raffie, I was so looking forward to kicking the ball with you in the park, watching your delighted face discover new things, hearing you say your first words. I don’t know why you left us, but just know that where ever you are, your mom and dad and big sister Edie love you so much. Our hearts are broken, but with time they will heal and we know that you will be watching over us. We will never forget you. You will always be a part of our family. You are inside of me, in my heart. After the service, we let go 38 balloons into the air – one for every week Raffie had grown in Larna’s tummy. The saddest part was watching the car with his coffin drive away, knowing that we were saying goodbye to him for the last time and knowing that we would not watch him grow older, not even for a day. Later that day we had a picnic in his honour in Queen’s Park in Moonee Ponds under a big shady tree. The pain lifted briefly that afternoon. Perhaps we were just numb or too tired or just relieved to have made it this far. Twelve months have passed, and I don’t think I have really comes to terms with losing our boy. Do you ever? Today, we celebrate Raffie’s birthday. It is hard to accept that he is not hear running around, playing with his big sister, saying his first words, being a little rascal. We speak about Raffie all the time and miss him terribly. He is part of our family. Edie may not yet be three, but she knows all about her baby brother and we encourage her to look at pictures of him and say his name. Rest in peace my beautiful little man. We love you, always.